Acting Attorney General Matthew Whitaker, who was appointed in November after the resignation of his predecessor, Jeff Sessions, testified before the House Judiciary Committee on Friday and said that he has “not interfered in any way” in the Mueller investigation. Whitaker, who has drawn heat for refusing to recuse himself from the Russia investigation even though he has made remarks in the past that have critical of the Mueller investigation, was questioned about his claim last month that the Russia probe is close to being wrapped up. Whitaker, who previously served as Sessions’ chief of staff, had also previously made remarks that he thought Mueller’s investigation had strayed outside the scope of the original intent. Fears have emerged among Democrats that Whitaker was brought on by Trump to kill the Russia investigation, something his predecessor didn’t do, to Trump’s dismay. 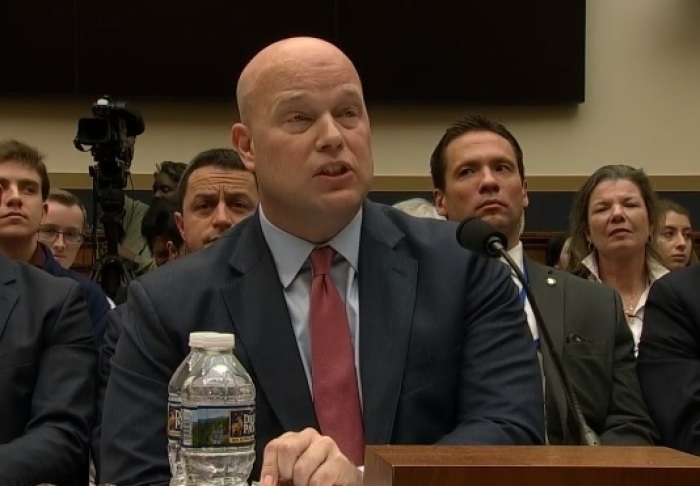 Whitaker testified during the hearing that he has not talked with Trump about the Mueller investigation. “The special counsel's investigation is proceeding consistent with the regulations that outline why the appointment happened, consistent with Mr. Rosenstein's appointment," Whitaker said, according to Business Insider. Committee Chairman Jerry Nadler accused Whitaker of stonewalling because of his refusal to answer questions, New York Post reports. Nadler assured that the questions that Whitaker didn’t answer in the hearing would be asked at a later time.